The decade of the 70s began with the cloud of Martial Law at the neck of every Filipino despite the holding of the Asian Bishops meeting in 1970 and Pope Paul VI’s visit in 1971. During this period, the two associations came together to discern their orientation towards justice and its option for the poor. This was later spelled out in a joint statement issued by the AMRSWP and the AMRSMP. Consequently, the objectives of the associations took on a two-fold dimension — one directed to the constituents, the other to the service of the poor — although both dimensions were seen in the total message of the Gospel. Accordingly, the set-up was modified and joint efforts harnessed even without official prompting from the Sacred Congregation. This was done in order to provide a responsive body that will speak out and act concordantly as their charisms may lead them. 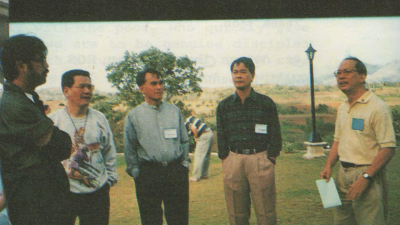 The activities were then expanded, thus, striking a balance between the “ad intra” and “ad extra.” As a result, the AMRSMP and the AMRSWP became the Association of Major Religious Superiors in the Philippines (AMRSP). 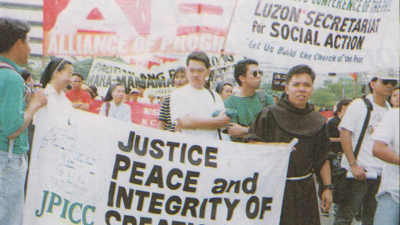 In recognition of the social inequities and structural injustices that prevail in Philippine society, the 1971 Joint Convention of the AMRSP focused on the theme “Role in Radical Restructuring of the Present Unjust Social Order in Our Country.” Discussions during the said convention gave emphasis on how to build genuine Christian communities in response to the present realities. A year later, 21 September 1972, then President Ferdinand E. Marcos proclaimed Martial Law. The declaration of Martial Law radically changed and affected the lives of the people. They were deprived of their valued civil and human rights — salvaging, torture, arrest and detention of peasants, workers, urban poor, women and church people, demolition of urban poor communities, hamletting and displacement, closing down of several television and radio stations and newspapers (even the door of the AMRSP office was padlocked by authorities at one point during the period of Martial Law ), violent dispersals, rise in the number of desaparacidos, massacres, and church persecution by the State. Even church people, lay and religious alike, were not spared from persecution and repression. Fr. Daniel Mac Laughlin, MM, Fr. Cullen, SJ, and Fr. Cornelio Lagerwey, MSC, were among the first to be arrested in separate incidents on September 1972, a few days after the declaration of Martial Law. Fr. Jose Nacu, MS, who was then the Chairperson of Zone One Tondo Organization (ZOTO), was arrested in January 1973 after successful march protest led by ZOTO against the declaration of Martial Law. The repressive environment found the AMRSP adopting a political line that is one of critical acceptance, with emphasis on critical. This socio-political involvement of the AMRSP was the result of the shift of audience to the poor, especially, the materially poor. The shift was made because a new understanding of the response to the social question demands the need to immerse in these social realities. This is especially true for those in formation and for those who make decisions. The Joint conventions and the Joint Executive Board meetings then became the venue where major decisions on national issues were analyzed, reflected on and translated into action. In 1973, AMRSP conducted a national survey to gain an objective picture of the effects of Martial Law. The comments of the various congregations and the survey results became the basic discussion paper of the January 1974 Joint convention. The major superiors, after lengthy deliberations, decided to set up new vehicles for conscientization and action on behalf of justice. 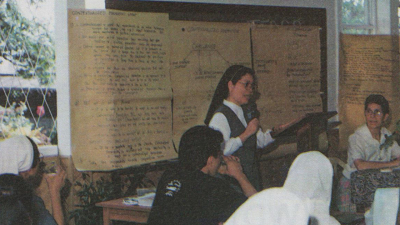 Task Forces were created to act on issues relating to political detainees (Task Force Detainees – TFD); formation of public information through proper information and reporting (Task Force Data Gathering – TFG); conscientization of the poor (Task Force on Urban Conscientization – TFUC); church personnel (Task Force for the Orientation of Church Personnel – TFOCP); and re-orientation of schools, services to university students (Committee on Education, then years later, Education Forum). A Central implementing Task Force was also created to coordinate the activities of the task forces. 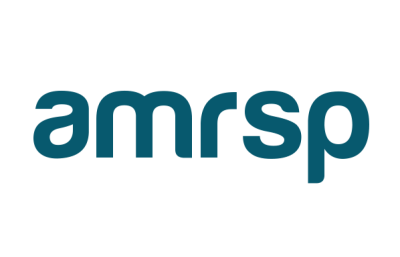 This was later discovered and in its place, a joint secretariat of the AMRSMP and the AMRSWP was set up to implement more effectively the thrust and orientation of AMRSP. Then in 1975, the government imposed a ban on strikes to repress the working class’ struggle for just wage and fair labor practice. The ban did not cow the workers of La Tondeña to fight for their rights. They went on strike as the religious stood by the workers at the picketline. The strike ended in favor of the workers. At the 1975 convention, two resolutions were acted upon by the major superiors: 1) an open letter to President Marcos demanding justice for and the right for self-determination of the sugar-workers; and 2) publication of a pictorial brochure, “Pastures of the Rich,” a study on the condition of workers in the sugar industry where their plight was vividly portrayed. AMRSP deeper socio-political involvement was viewed by some sectors within the Church as being too political. This observation regarding AMRSP’s involvement was shared by the church leadership in Rome. Thus, followed long and “tedious series of dialogue with the Nuncio.” It was in 1976 when the Mixed Commission of Bishops and the Religious was formed. 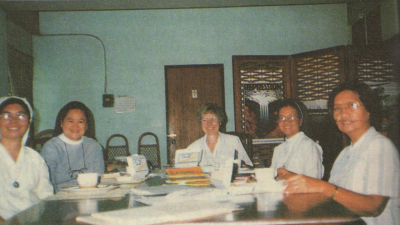 In 1977, the Urban Missionaries was created in order to respond to the needs of the workers for support and solidarity. 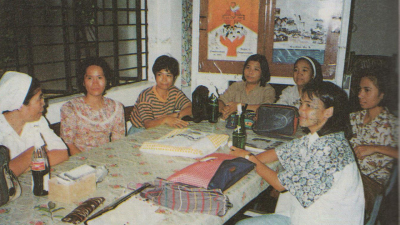 On the other hand, the year 1978 saw the emergence of new ministries in the Church – Basic Christian Communities-Community Organization (BCC-CO), Community-Based Health Program (CBHP), Ministry to Tribal Filipinos, Ministry of Presence (lifestyle identification with the materially poor), lay missionaries and Ministry for Detainees. It was during the 70s when the major superiors came to a deep awareness of the structure of injustice brought about by men and women. Structures and institutions which they (i.e. major superiors) can and should change. There was a re-examination of priorities followed by the commitment of themselves, their resources, their personnel to the task of working with the poor towards the transformation of these unjust blocks. Before the end of the ‘70s, the AMRSP was considered here and abroad a leading force to reckon with. But not only that, the struggles and difficulties faced by AMRSP during these turbulent times served as a point of unity for the various congregations under the organization. The Martial Law years was a ‘baptism of fire’, so to speak, for AMRSP which was, incidentally, formed only during that decade. The 80’s did not signal an end to the violence and repression characteristic of the 70s. Arbitrary arrest and detention of religious priests, seminarians, sisters and lay church workers mounted. The increasing persecution of church people led to the creation of the AMRSP Justice and Peace Commission. The lifting of Martial Law in February 1981 was met with skepticism. True enough, the escalation of repression during the early 80s was proof that the lifting of Martial Law was merely a ‘facelift’ to cover-up the continued existence of military rule. The continuous rule of the Marcos dictatorship and the military, prompted the major superiors to remain open to the prompting of the Spirit as She challenges them to respond relevantly to the calls of the time. Their prophetic leadership, put to the forefront in the 70s carried them through the turbulence and crisis of the 80s. Political upheavals rocked the continent of Asia. Martial Law was imposed in Bangladesh in 1980, the Tamil-Singhalese riots erupted in 1983, and the homefront, the assassination of former senator Benigno Aquino in 1983, and signaled the worsening socio-political and economic crisis in the country. In 1981, WITNESS, a joint publication came out. The articles focused on the search for an authentic witness to Gospel values in the context of present realities and concrete situations found worldwide. 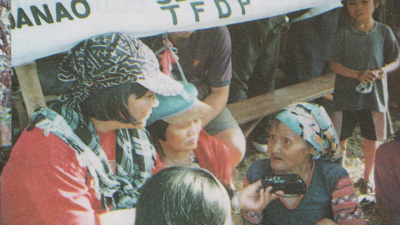 Though Asian in context, this publication featured articles which particularized on the Philippine situation. The first issue carried reflections on the visit of Pope John Paul II to the country in February 1981. At the 1982 Joint Convention, the major superiors approved and issued a Mission Statement which embodied the orientation and direction of AMRSP, and the relationship between the Joint Board and the Task Forces. The Mission Statement became the source of direction and guidance of the Task Forces in their work to implement the thrust and mission of AMRSP. The following year, the AMRSP hosted the South East Asian Major Superiors (SEAMS) Congress V from 30 October to 7 November 1983, with the theme “Asian Religiosity and Transformation of Values.” The SEAMS Congress is held in each member country every two or three years for mutual information, inspiration and enrichment through one another’s experience. The alarming increase in human rights violations and the economic crisis plaguing the country moved the major superiors to evolve a critical stance. 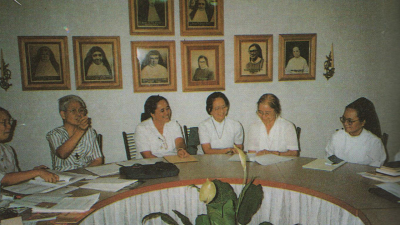 Thus, in its Joint Convention in 1983, the AMRSP decided to create a joint commission composed of men and women religious drawn from congregations with justice and peace concerns, service and/or programs. The joint commission became the responsibility of the Joint Board of the AMRSP. Action on behalf of justice and support of such efforts for justice and peace is a consistent and top priority of the AMRSP mission and orientation. 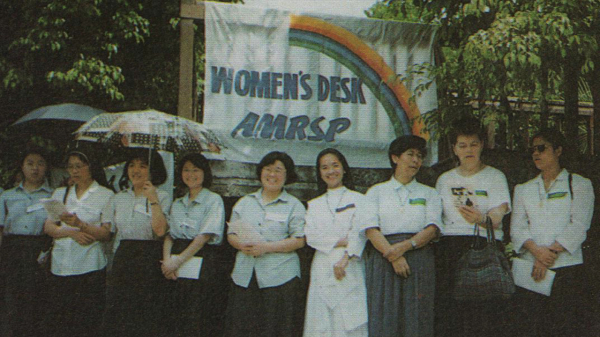 The AMRSP Joint Convention in 1984 carried the theme, “Economic Crisis and Religious Poverty.” It was a result of this convention that AMRSP came out with support for the striking workers of ARTEX. Meanwhile, church persecution continues amidst the worsening crisis faced by the country.